Ruthiebear (Titusville, NJ, United States) on 25 January 2017 in Art & Design. lovely tree against the blue! Quel tableau de ces arbres fnatastique effet. Great, great effect, a stunning rendering. Ooh, this is really cool! Superb work of art ! Bonjour Ruth, oh wow, impressionnant et tellement beau, féérique!!! Bise, bon mercredi dans la joie et la tendresse! And artsy treatment. Well done. Bravo! I would love to be able to see the other light spectrums at will. For now, I am very happy to see THIS ! I love inversions when they're done with the right photo and this one works for me! The trees look electrifyingly beautiful against that blue! Love it!! Those white trees really pop out, like empty veins. The branching patterns really pop. Nice! Eye-catching processing that makes these dense network of branches stand out beautifully!! A landscape from another solar system!. Excellent. 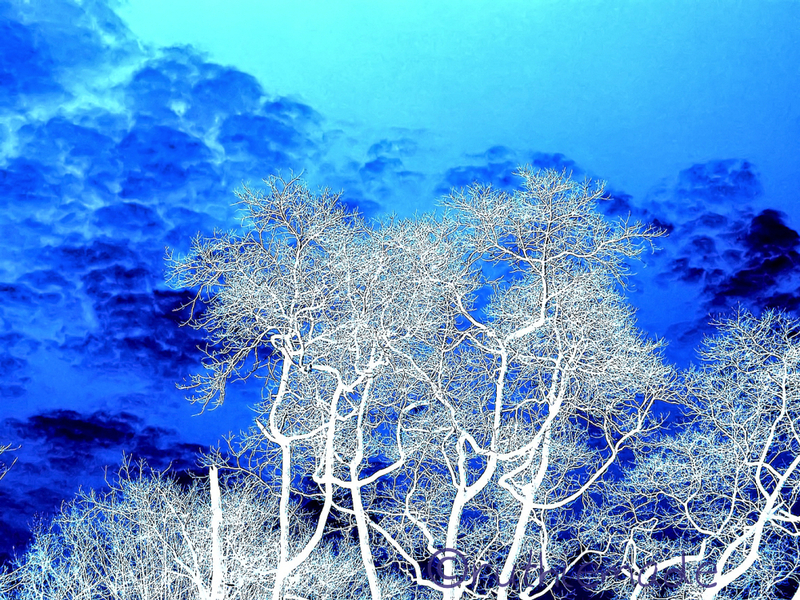 The leafless trees stand out beautifully against the blue background ... Nice treatment !!! Oh, oh, oh !!! LOVE IT ! They look fabulous. This would make a great card or poster! I love the colors. Wonderful work!